Adding a few ingredients to ground beef can make for a delicious meal, but there’s nothing tasty about the addition of E. coli in your meat. For that reason, an Omaha company is recalling nearly 168,000 pounds of beef. 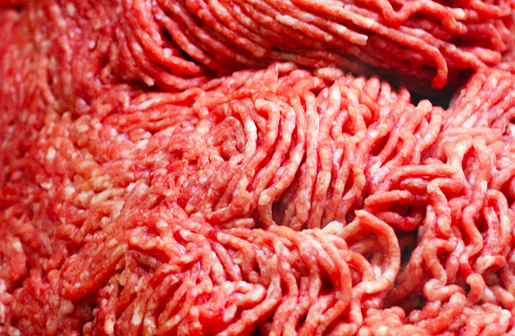 All American Meats Inc. recalled the 167,427 pounds of ground beef after some products tested positive for traces of E. coli, according to the U.S. Department of Agriculture’s Food Safety and Inspection Service. So far, there are no reports of customers becoming ill from the products, which were produced on Oct. 16 and sold at retail stores nationwide. The products include the establishment number “EST. 20420” inside the USDA mark of inspection. • 80-lb. (approximate weight) boxes of “Ground Beef 80% Lean 20% Fat (Fine Grind)” with Sell By Date 11-03-2015 and case code 62100. • 80-lb. (approximate weight) boxes of “Ground Beef 73% Lean 27% Fat (Fine Grind)” with Sell By Date 11-03-2015 and case code 60100. • 60-lb. (approximate weight) boxes of “Ground Beef Round 85% Lean 15% Fat (Fine Grind)” with Sell By Date 11-03-2015 and case code 68560. • 60-lb. (approximate weight) boxes of “Ground Beef Chuck 81% Lean 19% Fat (Fine Grind)” with Sell By Date 11-03-2015 and case code 68160. • 60-lb. (approximate weight) boxes of “Ground Beef Chuck 81% Lean 19% Fat (Fine Grind)” with Sell By Date 11-03-2015 and case code 63130. • 80-lb. (approximate weight) boxes of “Ground Beef Chuck 81% Lean 19% Fat (Fine Grind)” with Sell By Date 11-03-2015 and case code 63100. E. coli illness is miserable and inconvenient for most people, featuring abdominal cramps and watery diarrhea. However, people who are sick should be monitored for signs of dehydration, and young children and elderly people are susceptible to kidney failure.